Refers to the liquid extracted from food items that is used to make beverages and sauces. 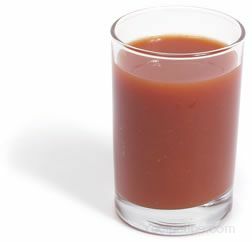 Liquid extracted from fruits and vegetables can be used as beverages, such as the juice squeezed from an orange or tomato. 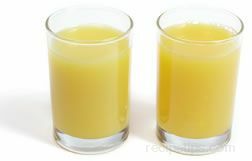 Some fruit juices can be extracted by cutting the fruit in half and squeezing the outer rind or by inserting a juice extractor, also known as a citrus trumpet that serves as a spout out of which the juice flows after insertion. The natural juices of cooked meats can be used to prepare sauces that are served as an accompaniment to the meat.